Christmas shopping can be fun, but also exhausting. 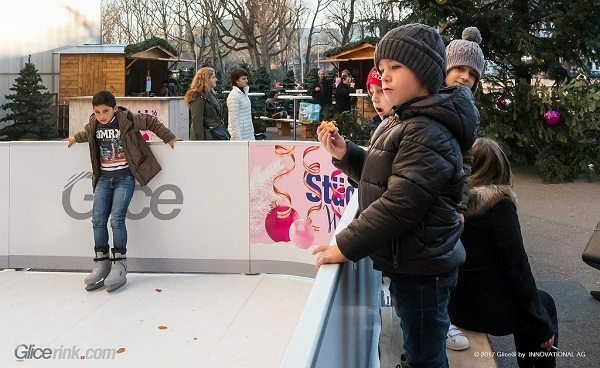 To enhance the experience of its customers with an entertaining twist, the Stücki Shopping Center in Basel, Switzerland rented a Glice® artificial ice rink for the 2016/2017 winter season. Between November and February shoppers skated on the 80 m2 outdoor ice rink and enjoyed the Christmassy mood that came along with it. Apart from people casually passing by, even the professional visitors of Basel’s ice skating club expressed their approval for the artificial and eco-friendly ice rink.